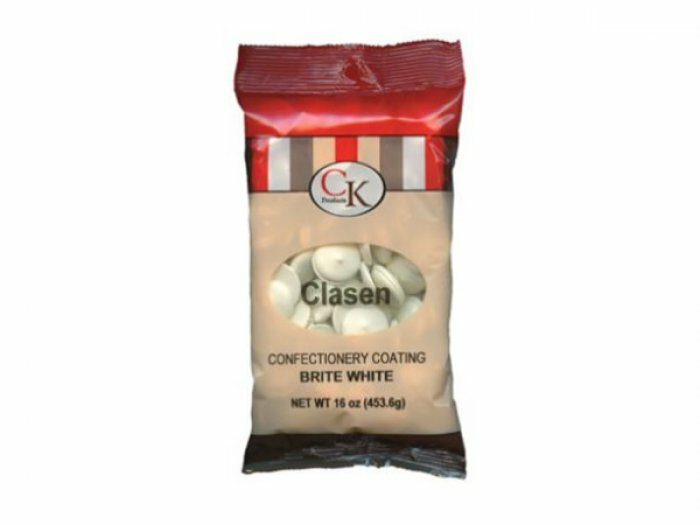 Clasen Alpine Bright White maintains an excellent flavor and performs exceedingly well in many applications. Due to these now being PHO FREE the colour of the alpine Brite White is not as white as it used to be. It is easy to melt and requires no tempering. If a thinner coating is desired, paramount crystals may be added. If adding flavors or colors, use a concentrated flavor or oil-based flavor. Candy Melts may melt in shipping if ordering during warmer temperatures. If it melts during shipping, it can be remelted.